We love the hustle and bustle of downtown Chicago, but sometimes its nice to take a moment to unwind. These luxury apartments are the pinnacle of relaxation and highrise living. 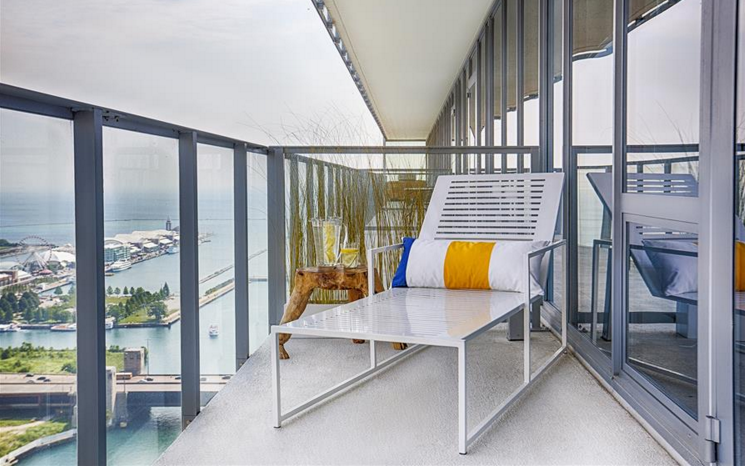 Coast apartments in Lakeshore East offer a relaxing beach vacation vibe with a convenient downtown Chicago location, just steps from Grant and Millennium Parks. 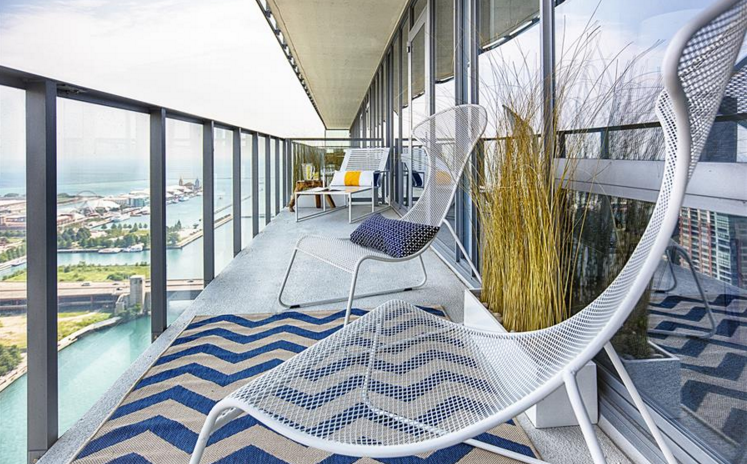 The apartments’ continuous and inset balconies offer views of Lake Michigan. Furthermore, other exterior walls are composed of glass and aluminum to add to the light, modern feeling. Coast was designed to create a beachside resort atmosphere. Residents have a choice between “Cool” and “Calm” finish packages. The sophisticated amenities were designed with comfort in mind. 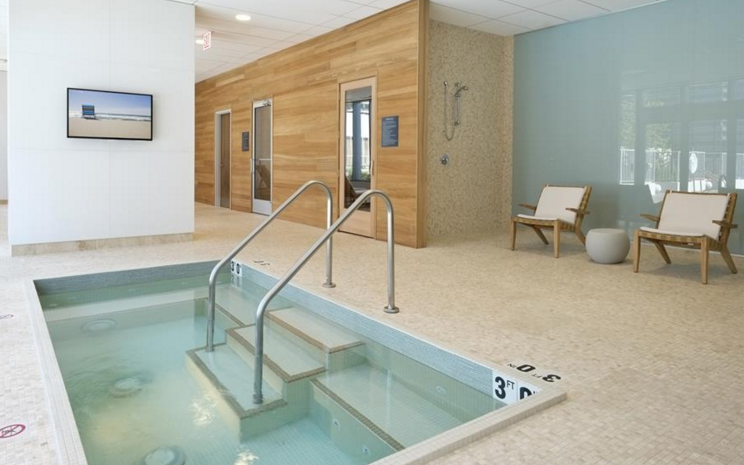 They include a fitness center with Cybex cardio and weight equipment, a technology center with both PC and MAC stations, and indoor spa lounge and hot tub with sliding doors to the outdoor terrace, a Skygarden lounge with a catering kitchen, a heated outdoor lap pool, and sauna and steam rooms. 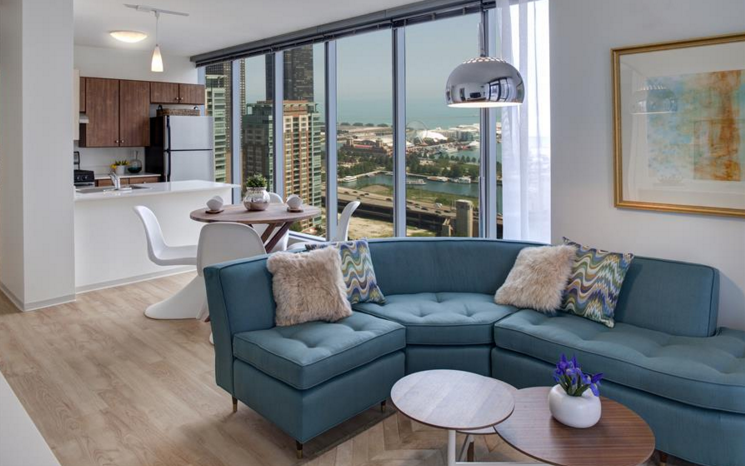 Additionally, Coast offers fire pits, stainless steel barbeque grills, a garden, outdoor day beds with views of downtown Chicago, a private dog run and wash stations, an electric car charging station, and a business center. The resident amenities at 73 East Lake are nothing short of resort quality. The 42nd floor lounge offers private dining, the Sky Lounge with flat screen televisions and the terrace. The terrace features a fire pit, cabanas to lounge in, and views of downtown Chicago. Explore the ninth floor amenities, which include a Cook’s Kitchen, an indoor pool and whirlpool, and a sauna with steam room. In addition to an extensive equipment selection, the state-of-the-art Fitness Gym offers customizable on-demand workout classes by Wellbeats Fitness.73 East Lake also features tech niches in each apartment. Additionally, the private conference rooms and business center are conducive to working from home and focusing at any time of day. 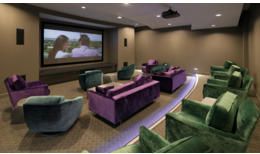 When you’re done working, step over to the private screening room, a movie theatre complete with lounge chairs that’s perfect for entertaining your guests. Looking for apartments for rent in Downtown Chicago? Contact us today! We’d be happy to keep you in the Loop!